All applications for Citilink Access eligibility shall be processed within 21 days of the receipt of application. Applicants will be notified in writing of the eligibility determination. Download an application here. In the event of eligibility denial, the applicant has the right of appeal within sixty days of the date of denial. Denial letters will be sent by mail. All appeals will be evaluated by an Appeals Advisory Board. A decision regarding the appeal will be made within thirty days of receipt of the appeal request. Upon Certification of Eligibility, participants will receive written verification of acceptance. Certifications will be for a three year period, excepting those certifications initially termed temporary. Access Certified riders can use fixed route buses for FREE with a photo ID card. These are available from the Citilink office on Leesburg for $3.00. It is expected that cancellations will be handled in a timely fashion by the user in order to provide Citilink the opportunity to schedule a replacement rider. A user may be subject to suspension of service if a pattern of 'no shows' exists. 25% of scheduled trips within a 30 day period may be sufficient cause for review or suspension. Only trips missed within the control of the user will be considered as 'no shows'. No limitations as to trip purpose will be imposed by the Citilink. Additionally, Citilink will not prioritize trips by purpose. With the exception of trips reserved within the allowable 14 day, advance registration period, users will be served on a first come, first served basis. Citilink Access service will be provided within the normal operating hours of Citilink. Current weekday hours of operation are between 5:45 a.m. and 9:30 p.m. No holiday or Sunday service is provided on Citilink fixed routes or Citilink Access. Citilink Access service will be provided within the service area of Citilink fixed routes. Access service area is defined as the Fort Wayne City limits and a corridor 3/4 mile on each side of routes outside the city limits (routes 10 & 15). All Citilink Access trips must originate and terminate inside the defined service area. Fares for Citilink Access service are $2.50 per one way trip. A Citilink Access eligible person will be allowed traveling companions as space permits and the companions will be charged at the same fare as the participant. Origin and destination points must be the same. Personal care attendants shall ride free. The need for a personal care attendant must be so indicated on the initial eligibility application for certification. If the applicant fails to indicate such a need, the additional rider will be treated as a companion and will be assessed the same fare as the certified user. Trip scheduling will be available from 8:00 a.m. to 5:00 p.m. seven days per week. For days that the Citilink offices are not open answering facilities will be provided. Citilink will acknowledged by return telephone call the service request as soon as possible. Request for trips will therefore be accepted 365 days per year. Reservations will be accepted up to 14 days in advance of the trip date. Visitors to the Fort Wayne area who are certified eligible for similiar service by the transit agency servicing them, will be accorded the same privilege while visiting. The ID issued by the home city will be sufficient to document eligibility. If no such documentation is available, Citilink may require proof of visitor status and proof of disability. Visitor eligibility will be for a period of no more than 21 days after which local eligibility should be applied for. Citilink Access program policies are determined by the Americans with Disabilities Act. In order to make sure the service is available to those who need it, eligibility is determined through an application process. To begin the application process, download an application here. If you have any questions regarding the application forms, please contact Citilink via e-mail using the online request form. (1) Any individual with a disability who is unable as a result of a physical or mental impairment (including a vision impairment) and without the assistance of another individual (except the operator of a wheelchair lift or other boarding assistance device), to board, ride, or disembark from any vehicle on the system which is readily accessible to and usable to individuals with disabilities. Interpretation: Any individual with a physical, mental, or visual impairment who cannot because of that impairment board, ride, or disembark from an accessible bus. 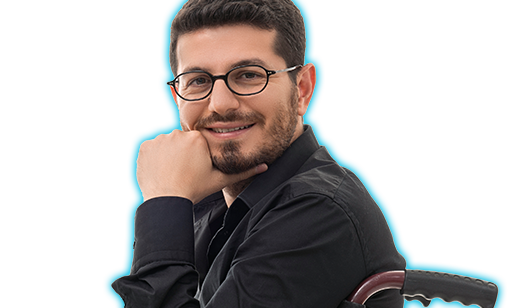 (2) Any individual with a disability who has a specific impairment-related condition which prevents such individual from traveling to a boarding location or from a disembarking location on such a system. Interpretation: Any individual because of an impairment related condition is unable to get to the bus stop. Our entire Citilink Fleet is accessible to persons with disabilities. As new buses are placed into service, each is equipped with a wheelchair lift or ramp and other equipment to assist persons with disabilities. Occasionally, due to such things as maintenance requirements of equipment or weather, Citilink will provide alternative transportation to persons unable to access a bus because of an inoperative lift or ramp, with an accessible vehicle within 30 minutes. Alternative transportation may be requested by asking the driver of the bus without a properly functioning lift to dispatch a vehicle to your location, or by calling the Citilink office directly at (260) 432-4546. A reasonable modification is defined as a change to a policy, practice, or procedure that allows disabled individuals to have equal access to programs, services and activities. 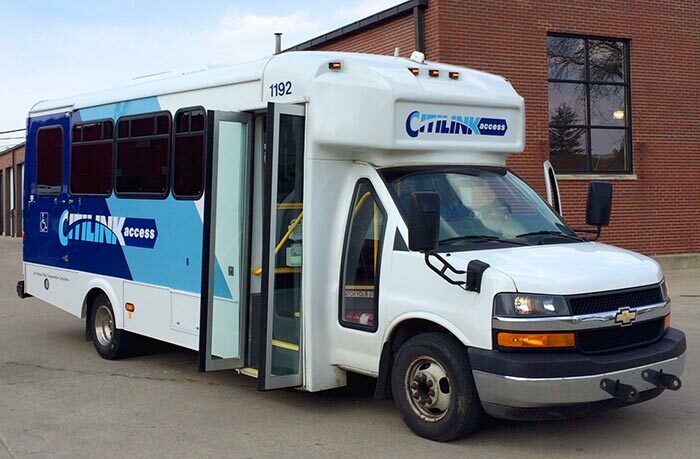 Fort Wayne Citilink will make reasonable modifications to policies and programs as required by the ADA. The ADA does not require Citilink to take any action that would fundamentally alter the nature of its programs or services, create a direct threat to the health or safety of others, or impose undue financial or administrative burden. Requests for modifications of policy, practice or procedure to ensure equal and effective opportunity to access public transit services under the ADA guidelines should be addressed to the Citilink ADA Coordinator, Betsy Kachmar at 260-432-4977 or email bek@fwcitilink.com. ADA Modification requests will follow the same protocol as the Title VI/ADA complaint process.